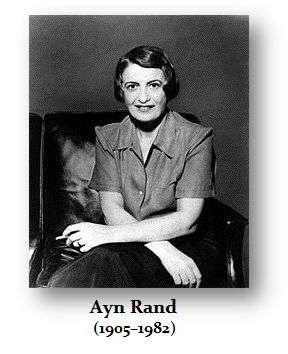 Aaand Ayn Rand has been a Rothschild mistress. I’ve said it before: This is a “Rothschild planned migrant crisis”. 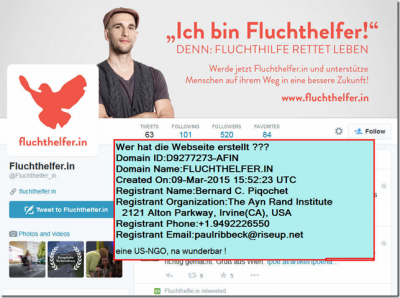 Why is a US-based NGO funding Middle East refugee movement into Europe? The web site www.fluchthelfer.in (note: “fluchthelfer” translates roughly “escape helper”) looks professional – starting with the web design and ending with ad banners – everything seems sophisticated and high-end. All kinds of people today call themselves “libertarians,” especially something calling itself the New Right, which consists of hippies, except that they’re anarchists instead of collectivists. But of course, anarchists are collectivists. Capitalism is the one system that requires absolute objective law, yet they want to combine capitalism and anarchism. That is worse than anything the New Left has proposed. It’s a mockery of philosophy and ideology. They sling slogans and try to ride on two bandwagons. They want to be hippies, but don’t want to preach collectivism, because those jobs are already taken. But anarchism is a logical outgrowth of the anti-intellectual side of collectivism. I could deal with a Marxist with a greater chance of reaching some kind of understanding, and with much greater respect. The anarchist is the scum of the intellectual world of the left, which has given them up. So the right picks up another leftist discard. That’s the Libertarian movement. I’d rather vote for Bob Hope, the Marx Brothers, or Jerry Lewis [than a candidate from the Libertarian Party]. [The Libertarian Party is] a cheap attempt at publicity, which Libertarians won’t get. Today’s events, particularly Watergate, should teach anyone with amateur political notions that they cannot rush into politics in order to get publicity. The issue is so serious today, that to form a new party based in part on half-baked ideas, and in part on borrowed ideas—I won’t say from whom—is irresponsible, and in today’s context, nearly immoral.